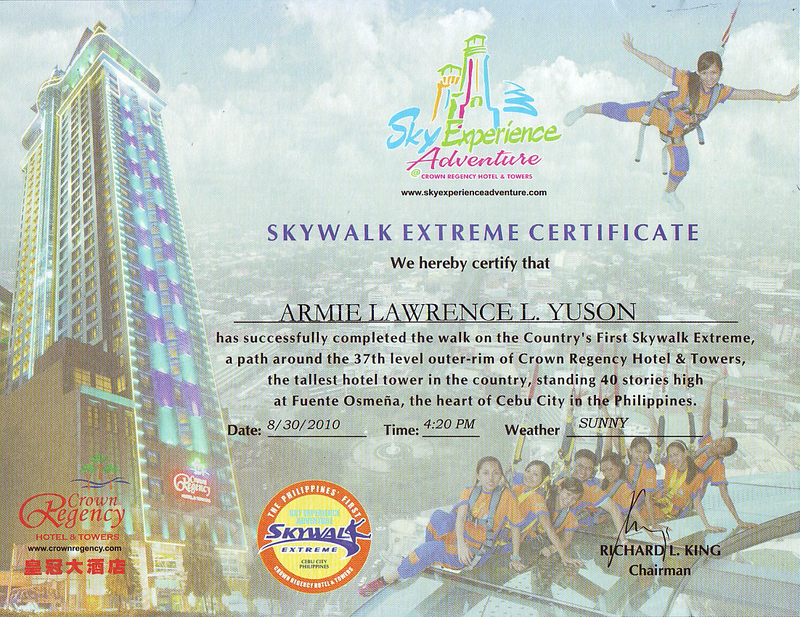 My main purpose as to why I came back to CEBU CITY is to experience the newest, latest and most visited extreme tourist spot that the Queen City of the South has to offer… And that is SKY EXPERIENCE ADVENTURE, which is the WORLD’S FIRST AND ONLY by CROWNE REGENCY HOTEL & TOWERS, standing 40 stories high making it the tallest hotel tower in the Country, located at the Heart of Cebu City in the Philippines. 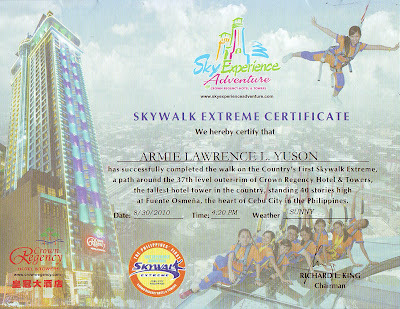 For only 800 Philippine Pesos, You would experience a whole day package of a 400 feet high SKYWALK EXTREME, which is a walk on a path around the 37th level outer-rim. 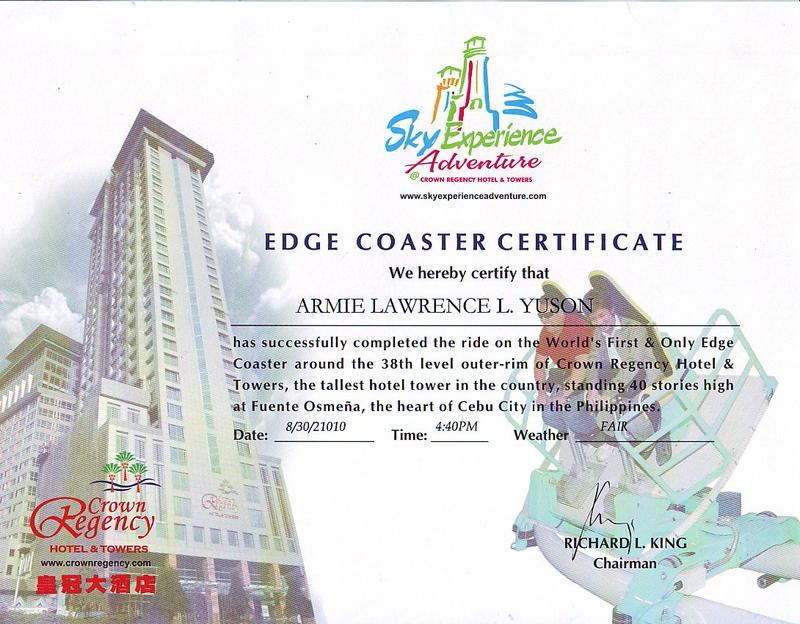 EDGE COASTER, which is around the 38th level outer-rim. 4D EXPERIENCE, with 3 varieties of movies to choose from. SKY OBSERVATORY, where you can witness the freedom of the heavenly bodies to incandesce its elegance at such a bewitching night. And the finest part of it all is the SKY BUFFET dinner of International Dishes from 6:00 PM to 10:00 PM accompanied by soothing music by the local band located in the 36th level, which is a romantic and dream-like 180 degrees glass-covered view of the spectacular City of Cebu. I also had my side trips. Of course! It’s very impossible that there’s no Sun, Sea and Sand in my Itinerary. That wouldn’t be a Fun Vacation for a Beach Bum like me! So I had an overnight stay at TAMBULI RESORT in MACTAN ISLAND located at LAPU-LAPU CITY where they had elegant pools and a breezy white powdery sandy beachfront. Cebu is also a neighborhood rich in different kinds of foods. So I tried their popular restaurants like the PORT SEAFOOD restaurant where they served buffet from lunch to dinner. Also at GOLDEN COWRIE and NEO-NEO GRILL HOUSE where delicious Seafoods are digested. Of course! Another thing that you should never miss while in Cebu is their “WORLD FAMOUS CEBU LECHON” at C&T Stalls found in Ayala Center and SM Cebu malls. wow! glad I've visited your site. 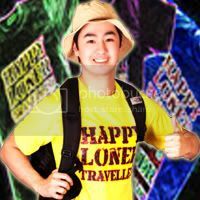 I envy those who can travel alone like you. I'll try that next year. Thanks to this nice post. 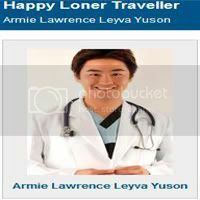 enjoyed your Siquijor entry! 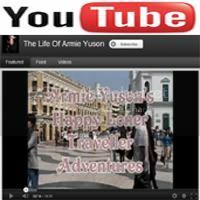 You may want to visit mine too if you have time. hihihi!